Encouraging some horses to drink water in the frigid winter temps can often be a challenge. Most horse owners know ‘no water is bad’, but sometimes ‘just not enough’ can be equally as detrimental. Add in temperatures that can make it difficult to simply get water to your horse and its an all out challenge! I personally had a small skating rink in my barn last week with the subfreezing temperatures thanks to a cracked PVC elbow (luckily not a burst pipe!). Some salt, a fan, and a bit of sunshine later, and I wasn’t left hauling water in a wheelbarrow too long. 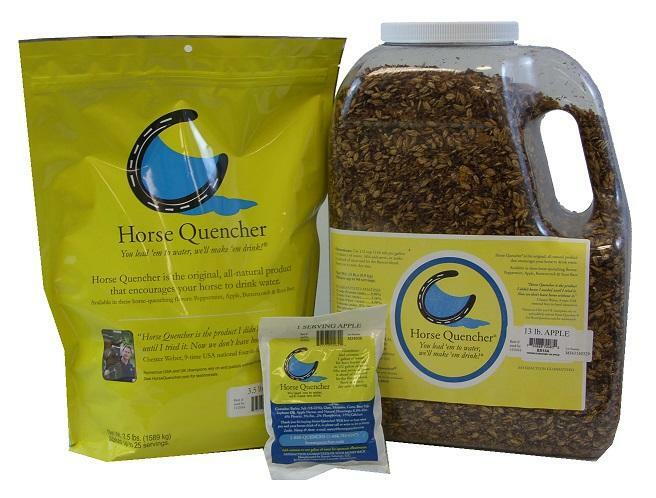 Check out a few of our favorite tips for encouraging water consumption in your horses. I have used this product for quite some time. The majority of horses love it as it’s like a nice treat. It’s offered in several flavors to help with those that are more picky. This is a block of alfalfa and mixed grass hay that can absorb up to 5 quarts of water. The lightweight, compressed block also make them very convenient for travel. It is ready in only 10 minutes! I’ve mentioned this hay previously as an option for horses affected with metabolic disease. Another feature is that the hay is already soaked to reduce carbohydrates. For owners that are soaking their hay in hay bags for the same effect, freezing temperatures can make that difficult! 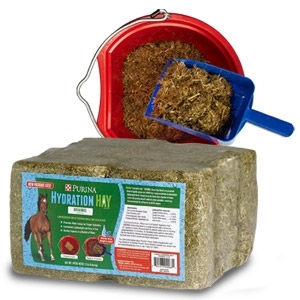 This hay is a great alternative for cold winter months. 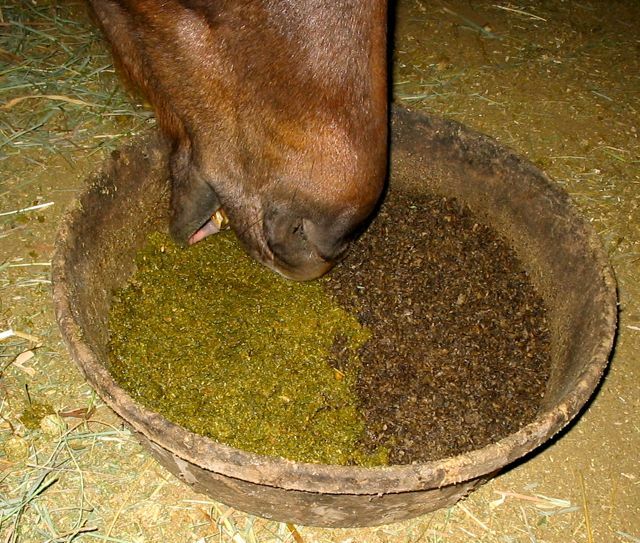 This may sound simple, but train your horse to eat a mash. Like people, some do not like various textures. Start by gradually adding more water to their feed. Using a more palatable concentrate like Senior or beet pulp will also encourage them to consume this food with additional water. Please let us know if you have any other great tips for encouraging your horses to drink more water! Next PostGood, Better, Best: Which Oil?